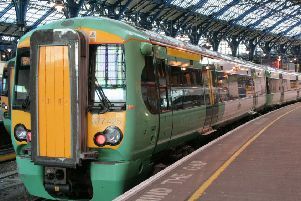 Emergency services are dealing with an incident near the railway between Hove and Worthing, according to Southern Rail. Southern said some lines are blocked and services running through these stations may be cancelled or delayed by up to 30 minutes. In a tweet, it added: "Southern ticket holders are permitted to travel with the following operators at no additional cost: - @BrightonHoveBus between Brighton and Shoreham-by-Sea - @StagecoachSouth 700 between Shoreham-by-Sea and Chichester.